Kit includes100% cotton fabric, Cosmos floss, and Lecien metalic floss to complete pillow. 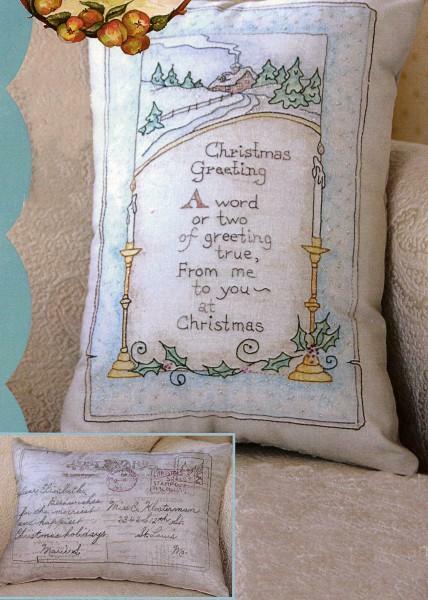 A vintage Christmas postcard pillow on the front and on theback is the merriest of Christmas greetings. Change theaddress and message for a truly personalized gift. Pillowmeasurees 19in x 13-1/2in.